Summary. The paper considers the problem of contemporary methodology for teaching subject-field vocabulary in ESP classes in the blended learning environment. It investigates three stages and ways of learning subject-field language including terminology. The main focus is on the use of Teaching and Learning Academic Subjects (TALAS) web-application which suggests the use interactive assignments and encourages students’ motivation with the help of challenging activities. Key words: contemporary methodology, subject-field vocabulary, blended learning, web-application, interactive assignments. Nowadays, when English has become the lingua franca of the contemporary world, its use is getting more and more important in all spheres of social life. Besides that, to succeed professionally, it is necessary to have a good knowledge of subject-field English with an appropriate command in vocabulary including terminology as well as a profound grammar competence, well-developed writing, listening comprehension, reading and speaking skills. Techniques for developing subject-field vocabulary can be used based on the textbook as well as in a web-application running. Teaching subject-field language is conducted in ESP classes and is a hard and many-sided process, where both participants – students and teachers – should follow certain rules. Successful results are possible only through mutual cooperation. On the one hand, to develop students’ skills of subject-field English in all its aspects, a good command in vocabulary including terminology plays a significant role. On the other hand, knowledge of subject-field vocabulary seriously influences the knowledge of English in general. The more words and terms the students know, the more secure they feel in expressing professional ideas, the more successful they are in subject-field communication. In this paper, the development of the contemporary methodology for teaching subject-field vocabulary in ESP classes to students of Law and Applied Linguistics is the main purpose of the discussion. The research is based on different approaches of famous linguists and methodologists in the field of teaching languages [1; 3; 7; 8; 9; 12]. It also considers both theoretical and practical points of view as well as suggests new techniques based on the blended methodology to be used in ESP classes. The ideas expressed by the authors mentioned above and our own experience have confirmed that teaching ESP requires certain level of students’ knowledge, specific approaches and more complicated techniques which are not always appropriate for teaching common conversational vocabulary in regular English classes. Therefore we consider to be important for the development of ESP methodology to analyze the most effective traditional techniques of acquiring and practicing subject-field vocabulary as well as suggest new methods taking into account the effects of modernization in the educational environment due to highly developed computer technologies and their implementation into the process of teaching languages. The fulfillment of the first task involves the investigation of the main stages and ways of teaching vocabulary: presenting vocabulary, assimilating vocabulary; consolidating vocabulary. The fulfillment of the second task is based on the suggestion to use TALAS web-oriented application  as one of the teaching resources in the age of Innovative Technologies which helps to create the blended learning environment for acquiring knowledge of ESP vocabulary including terminology. Among three stages of teaching vocabulary, namely presentation, assimilation and consolidation recognized by methodologists, the success of the first one greatly influences the whole process of acquiring students’ subject-field language. According to Ur [13, p. 275], there are several ways of presenting the meaning of new vocabulary items: concise definition (taken from dictionary or invented by the teacher); detailed description (appearance, qualities); examples; illustration (picture, object); demonstration (acting, miming); context (text or sentence in which the item occurs); synonyms; antonyms; translation; associated ideas; collocations. We share Patricia’s idea [11, p. 153] that on the whole the most helpful is the presentation of new words in context, which helps to learn and remember them easier. Students should understand different word connotation, thus it might help them to learn a particular word faster. We agree with Gass [7, p. 137] that it is reasonable to group all techniques into three categories: visual techniques; verbal techniques; techniques using dictionaries. Visual techniques for the presentation of new ESP vocabulary are considered to be helpful especially with vocabulary retention for visual learners. These learners can memorize the presented material far more effectively if it has been presented by means of visual aids. They help students associate the material in a meaningful way and incorporate it into their existing system of language. Teachers can benefit from the use of flashcards, photographs and pictures, blackboard drawings, miming and gestures. Verbal techniques of presenting new vocabulary items can be used for advanced learners and verbal learners, and they may include concise definition, detailed description, examples, context, synonyms, antonyms, translation, associated ideas, collocations. Understanding many abstract words goes mainly through the creation of a context or a situation that is helpful when deducing the meaning of a word. The use of dictionaries as a teaching tool in presenting vocabulary is of great importance as well. Dictionaries can help students to develop a more natural command of English; they can provide an extra source of information in the classroom and variety to lessons. The bilingual dictionaries enable the students to understand the meaning of the words quickly and effortlessly. Meanwhile, monolingual explanatory dictionaries can provide more practice of the language and activate learners’ guessing abilities. Students can not only look for definitions, pronunciation and examples of word use, but also learn derivatives of the vocabulary item, compare its meaning with its synonyms and antonyms. The second stage of teaching vocabulary is assimilation. We keep to the point of view that even the best presentation technique is not enough in itself to help memorize ESP vocabulary. In order to shift the lexicon from passive to active, students need a lot of practice and recycling of the vocabulary taught as the constituents of assimilating process. Many researchers suggest different techniques for vocabulary assimilation, but we consider those presented by Haycraft [9, p. 65] who focuses on a multitude of techniques for assimilation of vocabulary to be more effective than others. The list of his techniques contains: graphs and grids; matching synonyms or antonyms; filling in diagrams; paraphrasing; multiple choice or gap filling exercises; cloze tests; word building using prefixes and suffixes; matching pictures to words and matching words with definitions; classifying items into lists; completing specific tasks using words provided; listening activities; memory and guessing/intuition games; productive written activities; communicative activities (role-plays, discussions); word games and word puzzles (word squares, crosswords). As our experience shows, one of the most effective activities for law students is the Moot Court in which participants take part in simulated court proceedings arguing cases in front of the judge. Students of Applied Linguistics greatly benefit from conducting a stylistic analysis of the text. Consolidation as the third stage of teaching vocabulary should involve tasks in which students produce some ideas and thoughts of their own. In this way, students will turn vocabulary items from perceptive into productive and store the words in their long-term memory. According to Carter [3, p. 113], within production tasks for consolidating vocabulary knowledge, there are two major types that teachers can use: completion and creation tasks. Sentence and text completion tasks are generally known as open and close gap-filling tasks. In close gap-fills words are already given in advance whilst in open gap-filling students have to decide on the needed words on their own. For completion tasks there can be a variety of exercises such as: write down an appropriate word in each space; choose the words from the text and complete the sentences, etc. Multiple choice tasks can also belong to this category of exercises. Creation tasks sound difficult but the main idea of these tasks is to make students apply needed words in a proper way and thereby memorize their usage. Students are usually provided with the words that need to be learned. A typical example of such tasks is to create the sentences using the words from the list or write a crime story (for Law students) or a creative story (for Philology students). Due to the importance of Law and Linguistics in contemporary society and, consequently, the necessity to train future specialists with profound and very specific knowledge of subject-field vocabulary, we consider it to be essential for teachers of ESP to use repetition and revision activities which lead to consolidating terminology knowledge. We also practice drawing association lines for better memorizing a new word and distinguishing it from similar ones. For example: the word homicide as the generic legal term can be associated with such words as murder, manslaughter, killing, assassination expressing the meaning of taking life of another person; the association line of linguistic term research includes explore, investigate, analyse, look into. In this case the emphasis is put on the differences in their usage. Thus, presentation, assimilation and consolidation as the main stages of ESP vocabulary teaching have distinct features and perform important functions. Traditional techniques of all stages are useful and essential for teaching ESP since they help students to acquire and practice knowledge of their subject-field language and successfully use this knowledge for developing their professional communication. Creating an important basis for teaching languages face-to-face, traditional methods can easily be incorporated into the blended learning environment with the use of computer technologies. The contemporary world requires modernization of educational methods for teaching academic subjects including languages. Nowadays, when highly developed computer technologies and the Internet resources have penetrated into all spheres of life, science and education including, traditional techniques of all stages described above are often based on innovative methodology supported by computer technologies in blended learning running. They encourage the development of teaching and learning processes, make them more promoted and effective. Our contention is that the type of learning environment is a determining factor in language teaching and learning. An emphasis on the use of the innovative methodology for creating learning environment leads to noticing that computer technologies in combination with traditional methodology constitute an excellent means in the process of acquiring English knowledge. They help students to learn English more effectively taking advantage of computer literacy training. Investigations in the area of computer assisted learning [4; 6; 10] have pointed to the fact that interactive electronic media intensifies the learners' perceptions and cognitions in the course of learning processes, which, in turn, results in an increase in learning motivation and leads to a higher level of knowledge than if the learners were mere passive recipients. Moreover, suitably designed computer-assisted tasks enable greater individualization and make it possible to cater more fully to learners' individual needs and learning styles. The blended learning environment, which is becoming more popular and more widely used in educational institutions, is a mix of the Internet and traditional teaching [2, p. 215]. Network software, based on the use of the Internet resources,‏ implies web-applications, chats, discussion boards (forums)‏, e-mail, web streaming media, etc. Among them, web-applications tend to be widely used for teaching languages in blended learning running which mirrors how teachers can provide support and instruction on a flexible basis. TALAS is based on the work of two types of users: a teacher and a student. It provides the teacher with tools for creating theoretical material based on texts, video- and audio-resources as well as interactive practical assignments for developing students’ language skills. This web-application is aimed at both students’ group and individual activities, has a convenient interface and is easy in operation. TALAS has an automatic system of progress evaluation and supports monitoring student’s progress results with the help of the evaluation system. Besides that, TALAS enables the students to view their mistakes at the end of work and creates a new learning space in which the users are autonomous. In addition to classroom usage of TALAS, its interactive exercises can be effectively applied in distance teaching and learning. The structure of TALAS contains registration and authentication, teacher’s and student’s sections as well as a local mail. After registration in TALAS, the users can authenticate inside the application and start their work. In addition to the tools for creating both theoretical material and interactive exercises to practice it, the teachers are also provided with the features for viewing the results and progress evaluation of students’ work, modifying and deleting the tasks. Besides that, the teachers can use the tools for testing the tasks as well as assigning them to a certain group of students. The interactive exercises of TALAS, including those which allows to acquire and develop terminology knowledge in ESP classes, contain single choice, multiple choice, matching, filling gaps and answering questions tasks. A distinguishing feature of TALAS is an essay writing exercise which provides the students with the opportunity to develop their writing skills and allows the teacher to view the results as well as point out the mistakes and give recommendations interactively. TALAS also supports embedding YouTube videos inside the teaching materials. While working with TALAS web-application, the students can fulfill the tasks assigned by the teacher or choose free exercise fulfillment option. In both cases, they can view the automatic saving of their results. Local mail allows students and teachers to communicate with each other through the web-application. TALAS is logically completed and successfully operating teaching and learning environment which addresses the challenge of literacy in the age of highly developed computer technologies. The students’ feedbacks have confirmed that this web-application facilitates self-learning process promoting knowledge acquisition, makes learning faster, more enjoyable, more self-directed, more effective and more transferable to new situations. The results of our study have shown that while acquiring English knowledge in the blended learning environment, students benefit from applying both traditional and innovative techniques created for them. In ESP classes, they apply various methods on developing their terminology knowledge in close connection with grammar competence, reading, writing and communicative skills, and at the end of the term, they are supposed to be examined. After analyzing the results, we made a conclusion that using vocabulary development techniques in the blended learning environment, the students managed successfully with their tasks, made fewer mistakes and enriched their language with new subject-field vocabulary. According to students’ oral feedback, the biggest problem they experienced consisted in translating sentences using appropriate vocabulary. We may assume that the reason for this problem may be explained by the students’ extra challenge: when providing the correct vocabulary item, they at the same time, are to produce proper grammar constructions. To conclude, it is worth assuming that learning ESP providing knowledge of English with an appropriate command in subject-field vocabulary helps students to succeed professionally in the contemporary world. The combination of traditional methods and computer-assisted language learning through TALAS gives students the opportunity to promote knowledge of their subject-field language in an interactive way more effectively, supports applying the Internet resources based on authentic materials and encourages students’ motivation. While improving subject-field competence is the principal goal, the students are also engaged in a process of learning how to move to the independent and purposeful exploitation of resources: in brief, learning how to learn. Belisle T. Developing Vocabulary Knowledge іn the Immersion Classroom / T. Belisle. – Essex, UK : Longman, 1987. – 192 p.
Bersin J. The blended learning book: best practices, proven methodologies, and lessons learned / J. Bersin. – San Francisco : Pfeiffer, 2004. – 319 p.
Carter R. Vocabulary and Language Teaching / R. Carter R. – London : Longman, 1988. – 208 p.
Chun D. Networked multimedia environments for second language acquisition / D. Chun, J. Plass // Network-based language teaching: concepts and practice. – Cambridge : Cambridge University Press, 2000. – P. 151–170. Felix U. The Web as a vehicle for constructivist approaches in language teaching / Felix U. – London : Longman, 2002. – 176 p.
Gass S. The Use and Acquisition of the Second Language Lexicon: Studies in Second Language Acquisition / S. Gass. – Cambridge : Cambridge University Press. 1987. – 215 p.
Goulden R. How Large Can a Receptive Vocabulary Be? / R. Goulden. – Oxford : Oxford University Press. 2003. – 236 p.
Haycraft J. An Introduction to English Language Teaching / J. Haycraft. – London : Longman. 1978. – 156 p.
Jones P. It’s all in the mix: the evolution of a blended e-learning model for an undergraduate degree / P. Jones, A. Jones et al. 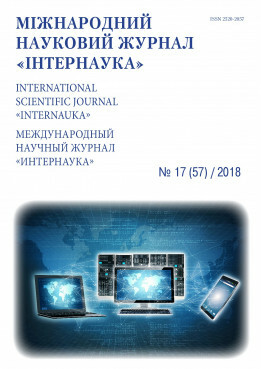 // Journal of Systems and Information Technology. – 2007. – Vol. 9. – Iss. 2 – P. 124-142. Patricia A. Academic Success for English Language Learners: Strategies for K-12 Mainstream Teachers / A. Patricia. – Oxford : Oxford University Press, 2004. – 238 p.
Thornbury S. How to Teach Vocabulary / S. Thornbury. – Essex, UK : Longman. 2002. – 168 p.
Ur P. A Course in Language Teaching: Practice and Theory / P. Ur. – Cambridge : Cambridge University Press. 2005. – 324 p.